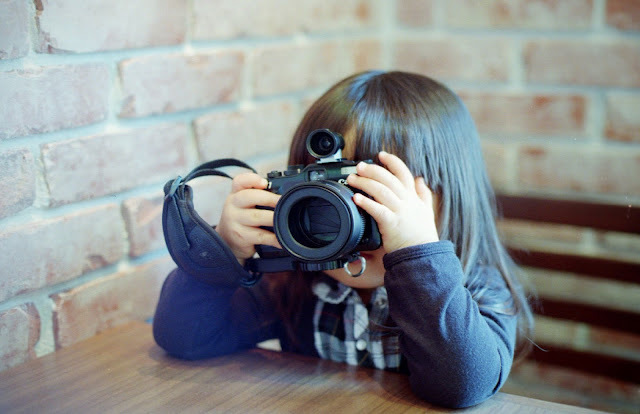 You have seen the advantages of both the cameras. Now in this section we will be discussing about some of the features and sub-features which differ on minute points in both of them. 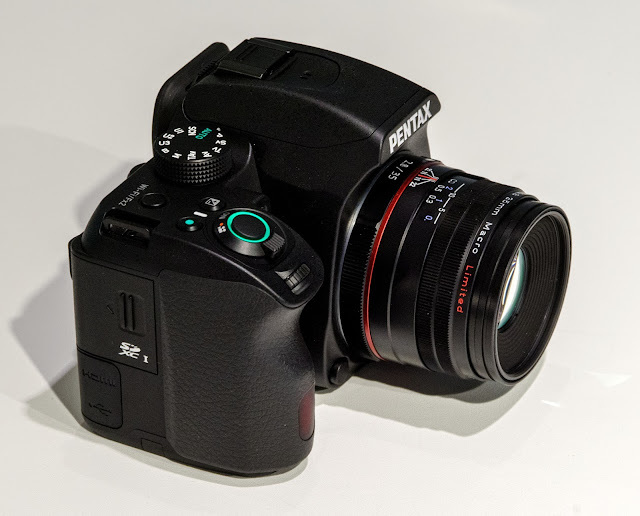 These either differ in implementation or sub-features such that for that feature, either of them cannot claim superiority over the other (The Canon vs Nikon mid-range autofocus system comparison is actually an extension of this article). In most cases, a perceived advantage over the other is purely based on personal preference, requirement and taste. It also features functionalities in both which aren't necessarily inferior to the other but differ in implementation or ease of use or whose direct comparison makes less sense. White balance - All the white balance presets are very comparable in both cameras. Both have 2 Auto white balance presets for white and ambient priority along with presets available for daylight, incandescent/tungsten, flash, cloudy, shade, an option to choose your color temperature and Custom/Preset WB. The Kelvin number and range might differ here and there. Custom preset is obtained by manually setting WB from a specific source. Nikon gives you the option of using both OVF and live view to achieve this while it's only OVF for Canon. Nikon also gives you 6 memory slots for white balance presets. While Canon provides only a single preset default white fluorescent light, Nikon gives you seven options i.e. sodium-vapor lamps, warm-white fluorescent, white fluorescent, cool white fluorescent, day white fluorescent, daylight fluorescent and high temperature mercury-vapor. 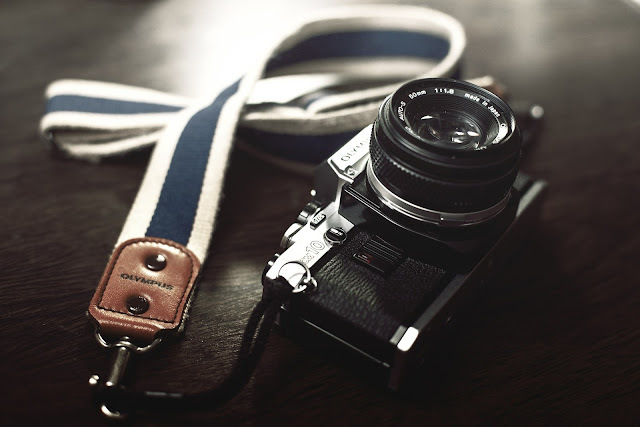 Picture control/styles: These picture styles are used to control the amount of contrast, color saturation etc. in your JPEG files. Your choice will affect the histogram shown on screen. Flat, neutral or faithful can be used to show a more correct representation of tonal ranges of the unprocessed image actually captured by your camera i.e. RAW file. It also makes the histogram represent a more accurate "picture" of the image captured. Off course other than this application, they can be used to make your JPEGs pop up, look more vibrant or more natural looking for the scene. The 80D and D7500 both have 8 presets i.e. auto, standard, portrait, landscape, neutral, monochrome along with fine detail (detailed outline, fine texture) and faithful (natural true to life) being present in canon and vivid (emphasis on primary colors) and flat (wider tone range, useful during post-processing) available in D7500. Strength - amount of contrast and sharpness. Fineness - how fine/thick the outlines should be. Threshold - how much contrast the line needs from the surrounding to be considered for sharpening. 3 extra user defined picture styles can be stored in 80D versus 9 in D7500. We can also store 99 custom styles on the memory card with D7500 and share with compatible Nikon cameras. In both the cameras, there are filters (None, orange, red, green) and toning parameters which are available only with monochrome style. In the 80D you can set the tone to none, sepia, blue, purple and green. On the other hand Nikon gives you finer toning control with B&W, sepia, cyanotype (bluish), red, yellow, blue-green, blue, purple blue, red purple along with setting to change each one's intensity. Dynamic range expansion - These involve two techniques, one is which selectively adjust tone curves (e.g. brighter only darker areas in the scene) in order to include an extended range of tones from darker to brighter in the final JPEG file as compared to standard range while the second one involves exposing the image such that highlights are protected. This means that the final image will have a greater dynamic range. This is useful in high contrast situations like landscapes which by nature have a large dynamic range; too much for a digital sensor to accommodate. Adjusting tone curves involves rising up the shadows but not changing the exposure. These only affect JPEGs. The second method uses an exposure which protects highlights and then raising the shadows to compensate for the lower exposure, hence the change is also reflected in RAW files. The 80D has Canon's "Auto Lighting Optimizer" which is Canon's implementation of the first method. We have the option to select the effect from disabled to low, standard and high, along with an option available to disable it in manual and bulb mode. Canon also implements the second method and calls it "Highlight Tone Priority". Here we are restricted to using a minimum ISO of 200 since the camera is actually under exposing by one stop i.e. using ISO 100 (Had it allowed ISO 100 here, there wouldn't have been any lower ISO for underexposing in the case of user choosing ISO100). The D7500 used Nikon's Active D-Lighting is Nikon's implementation which involves a combination of both methods. Here the available options are from off, low normal, high, extra high and auto. You can also bracket Active D-Lighting with varying levels of intensity (ADL bracketing). Vignette Control - Both support Vignetting correction (Nikon calls it Vignette Control, for Canon it's Peripheral Illumination Correction), but Nikon gives you flexibility of having High, Normal and Low options to choose from as compared to only Enable/Disable in 80D. Viewfinder - Both are almost equal in this department with 100% frame coverage and 0.94x and 0.95x magnification for Nikon and Canon respectively. Autofocus Assist - While the D7500 has an inbuilt autofocus assist lamp, the 80D uses its inbuilt flash to emit AF-Assist beam. This means that the flash needs to pop up to fire bursts for AF assist before shutter release. Metering system - Metering system is used by a camera for accurately assessing the lighting situations to provide an accurate exposure. A standard light meter only measures light intensity while an RGB meter also collects color data of all three primary colors for a more accurate prediction of exposure and is also used in subject tracking. The D7500 uses the 180K segment RGB metering sensor directly from the flagship D5 and D500. This high resolution and the color information helps in accurately exposing the image. Secondly it helps in tracking subjects in 3D AF tracking mode, scene recognition and face detection. The 80D also uses an RGB sensor, but with 7560 pixels which are used to evaluate color information for accurate metering and face detection and skin tone evaluation. Unlike in the case of Nikon, the 80D divides the metering sensor into 63 zones (9x7) for evaluating brightness. Along with this the 80D also uses an IR sensor which is sensitive to near infrared light. This also helps achieve accurate colors. Metering modes - Metering modes give you the flexibility of having the whole frame or a specific part of the frame being considered for metering the exposure. Multi zone - Here the camera considers the whole image for evaluating the exposure. Nikon's Matrix metering and Canon's Evaluative metering fall in this category. Here the metering system uses an intelligent algorithm to calculate final metering which involves considering the color information, brightness across the scene and also where the focus is achieved to give priority to that area for correctly exposing. Nikon also uses sample scene data and compares it to the metering information for evaluating exposure. Center weighted - This also covers the whole area as far as metering is concerned but gives more importance to the central portion when calculating exposure. In the Nikon 75% weightage is given to this central area whose diameter can be adjusted from 6, 8 (default), 10 and 13mm or you can even set it to take average of entire frame. Spot - small circle is evaluated for metering. For Nikon the coverage is 2.5% frame while for Canon it's 3.8 %. Partial (Canon) - This is similar to spot metering but with a larger circle being evaluated covering 6% of image area. Highlight weighted (Nikon) - Weightage given to highlights so as to prevent them from clipping and losing information. As expected from a mid-range body, both 80D and D7500 have dedicated ISO buttons. Changing ISO involves pressing the "ISO" button and turning a dial. ISO change step - In the D7500 you can change ISO in steps of 1/3 EV or 1/2 EV, while it's just 1/3 EV steps for 80D. 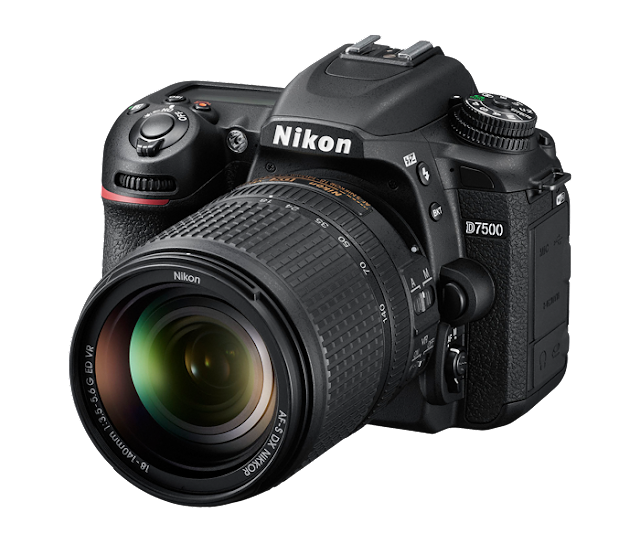 Standard range - The D7500 supports a standard ISO range from 100 to 51200 while the 80D goes from 100 to 16000. You can expand the ISO range from both sides, high and low in the D7500. You can go below ISO 100 and set the ISO from ISO 80 to ISO 50 (Nikon calls it Lo0.3 to Lo1 suggesting sensitivity of 0.3 to 1 EV below ISO 100). You also can go above ISO 51200 with settings from Hi0.3 (ISO 64000) to Hi5 (1640000). With 80D there is a single H setting which allows you to increase the upper limit of ISO from ISO 16000 to ISO25600. There is no option to go below ISO 100. Auto ISO range control - In D7500 we can set the maximum values that the camera can choose for automatically setting ISO while the minimum value limit is set to ISO 100. In the 80D, along with maximum ISO limit which can be se set from ISO 200 to ISO 16000, we can even set a lower limit to auto ISO from ISO 100 to 12800. Minimum shutter speed with Auto ISO - With this setting you can specify a shutter speed to the camera such that in "Program" or "Aperture priority" if in order to achieve desired exposure a shutter speed slower than specified as "minimum" is needed (due to low light), then instead of changing this (shutter speed), the ISO is increased in equivalent stops while the shutter speed is maintained. 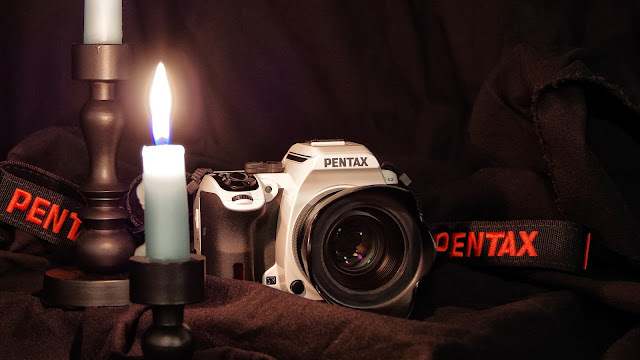 This is useful in lower light conditions but in situations where you don't want the shutter speed to be compromised for getting a correct exposure, so the onus is put on the ISO. All you specify is after which shutter speed should the ISO setting take this responsibility. The D7500 and 80D both support minimum shutter speed with auto ISO. Both cameras also give you the ability to let the camera set minimum shutter speed automatically (where it applies the reciprocal rule - 1/200th shutter for 200mm focal length 1/300th for 300mm etc.) or specify it yourself manually. Along with this the 80D also provides you the ability to customize the minimum shutter speed when it is set to auto so as to give a speed bias to it. Here the 80D automatically sets the minimum shutter speed to the reciprocal of the focal length (if you zoom from 200mm to 300mm then minimum shutter speed is set to 1/300th from 1/200th when its). So you can have the camera choose a stop faster minimum shutter speed for current focal length (1/600th vs. 1/300th at 300mm zoom) by moving the pointer by a single step on the slower to faster scale. Such a feature isn't present in the D7500. Long exposures - Long exposure can be achieved in two ways - Bulb and bulb timer. Bulb feature allows you to expose the sensor for as long as you hold down the shutter button, while bulb timer allows you to set a specific time for which the sensor will be exposed. Both Cameras support these features. In the 80D there is a dedicated bulb mode on the mode dial. Bulb timer can be set via menu option. In D7500, bulb mode is accessed by actually dialing in manual mode on mode dial and turning the command dial all the way to bulb. Timed bulb exposure is also achieved in the same way. Multiple exposures - Multiple exposures can give you some very interesting and creative results in your photographic storytelling. Both 80D and D7500 support multiple exposures. The D7500 does not support multiple exposures in live view while the 80D does, although the D7500 permits previewing the partially overlaid images while shooting multiple exposures. D7500 supports shooting 2 to 10 images while its 2 to 9 for 80D. Overlay modes - While both the 80D and D7500 support additive and average overlay method, the D7500 supports two more - lighten and darken. Additive - Exposures added without compensating exposure based on number of shots. Will result in brighter image if not compensated manually. Average - Exposure compensated internally. Lighten - Brightest corresponding pixel from each exposure ends up in the final image. The lightest image will look superimposed on darker ones. Darken - Opposite of lighten. Darkest pixel in final image. Darkest one will superimpose on lighter ones. D7500 allows you to save all individual RAW exposures in the process, 80D does not. Top LCD display - With the top LCD you can get almost all the settings information you need like exposure values, flash mode, drive mode, battery, card memory left etc. so you don't need to go to the back display. Also it saves battery life since you don't need to keep the power hungry back display switched on. Plus it has better visibility in daylight than monitor. Both being mid-range cameras have an LCD display on top. Shutter speed, aperture, ISO, auto ISO, number of shots remaining, battery life, metering mode. But when you are changing certain settings, it will show the relevant information like exposure indicator, bulb mode, time mode, mup ready, image area (DX, 1.3x), autofocus mode (single, servo etc. ), autofocus area mode, exposure compensation, white balance preset, white balance using kelvin temperature, HDR (if custom setting f1 set for HDR), bracketing and a few other status indicators like busy, full, error etc. shutter speed, aperture, ISO, Auto ISO, number of shots remaining, battery life, metering mode, Drive mode & self timer, interval/bulb timer, AF operation (one shot, AI focus, AI servo, manual etc. ), AF point selection, exposure level, exposure compensation, exposure bracketing, multiple exposure, Wifi, time lapse movie, Highlight tone priority and status indicators like busy, card full, error etc. 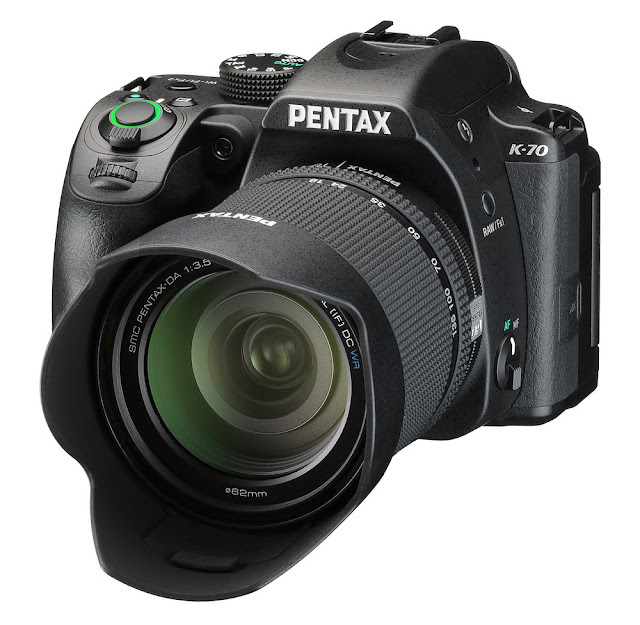 Size - The D7500 has a larger 3.2 inch touch screen, while the 80D has 3.0 inch. Resolution - The D7500 has a bit lower 922K dot VGA resolution while the 80D has 1040K dot resolution. 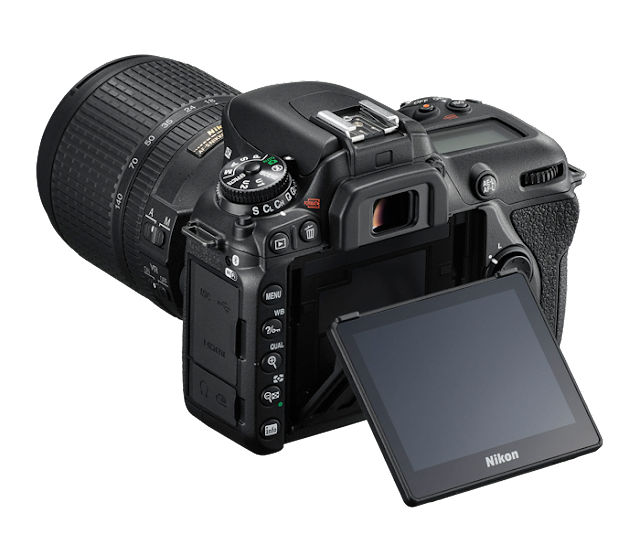 The Nikon D7500 with its tilting touch screen. Articulation - The 80D has a fully articulating mechanism and as mentioned before, is useful when monitoring during vlogging. The D7500 has a tilt mechanism which is considered to be more durable but isn't as flexible. Custom menu - Both cameras provide customizable menus where you can place settings of your choice or which you use frequently. This helps you avoid the frustration of accessing lengthy menus to access your desired settings by placing all of them in a single, quick to access menu. Nikon's "My Menu" implementation is actually a list which can hold at most of 20 items. You can either have a list of the most recent items or your custom "My Menu"
Contrary to this, Canon implements a tabbed "My Menu" wherein you can add at most 5 tabs with a maximum of 6 items in each of them registering a total of 30 items max. Canon also allows you to customize settings such that the "My Menu" tab is the first in the list of menus to quicken access to it. Depending upon your choice, you may like the list or the tabbed interface. 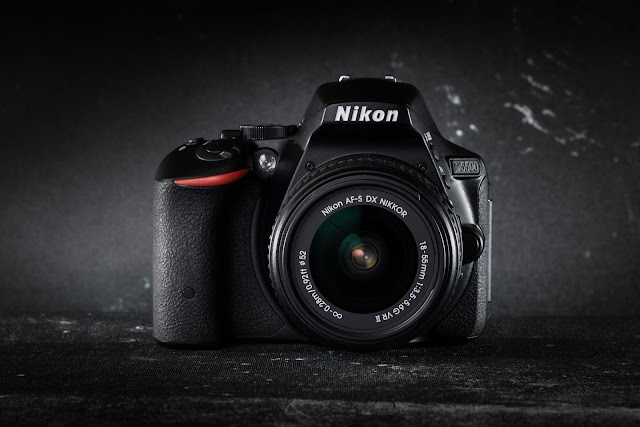 Wireless connectivity - While both the Nikon D7500 and Canon 80D sport WiFi capabilities, the D7500 also has low powered Bluetooth. This is used in conjunction with Nikon's SnapBridge app and used to continuously transfer images from the camera to phone at a lower speed and power usage. 80D on the other hand doesn't have Bluetooth but comes equipped with NFC which helps fasten the process of setting up a wireless connection with an android device. 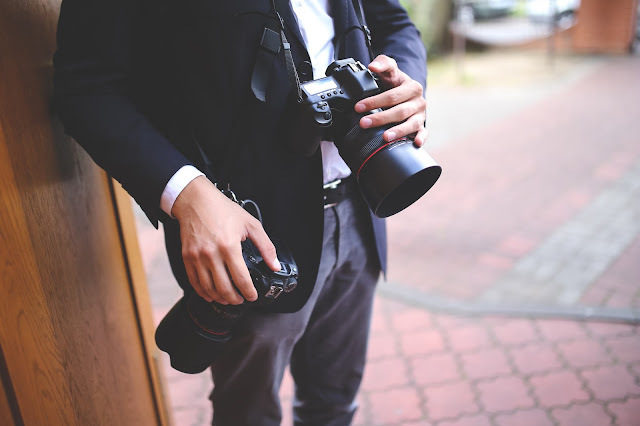 Battery - Both the D7500 and 80D require that you charge the battery externally using a charger, with batteries of both taking around 2.5 hours to charge. The D7500's battery is rated for 950 shots while for the 80D its 960; pretty close. This is measured according to CIPA standards and with 50% flash use. The 80D is rated for 1380 shots with no flash use and while the D7500 hasn't specified any with no flash, the D500 which also has a 1900mAh battery like the D7500 and doesn't have a flash, is rated for 1240 shots. Weight - Both D7500 and 80D weight almost the same with the former weighting 720 grams and the latter doing 730 with battery and memory card. Dimensions - The D7500 is slightly slimmer than the 80D with a volume of 135.5x104x72.5mm (WxHxD) while the 80D packs it's weight around a space of 139x105.2x78.5mm. Manual - Both provide hard copies of user manual. The 80D's is quite self-contained while the D7500 has details of its menu described in a separately downloadable menu guide. Conclusion: As we have seen the advantages of both cameras over the other and where they shine, the question is who should buy the 80D and D7500. 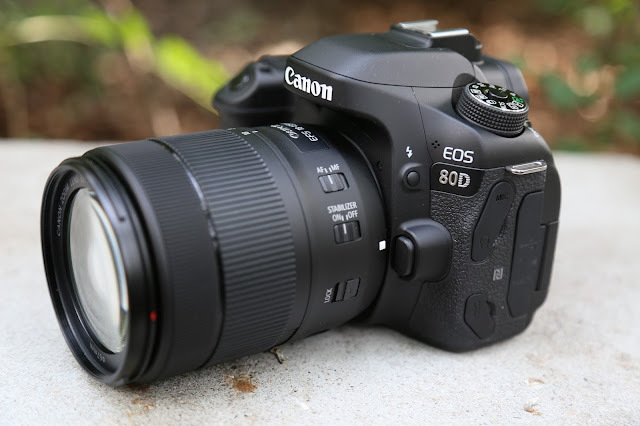 The 80D seems to be a very well rounded product designed to do almost anything. There isn't a photographic situation where the 80D will perform badly given the segment it is placed in. 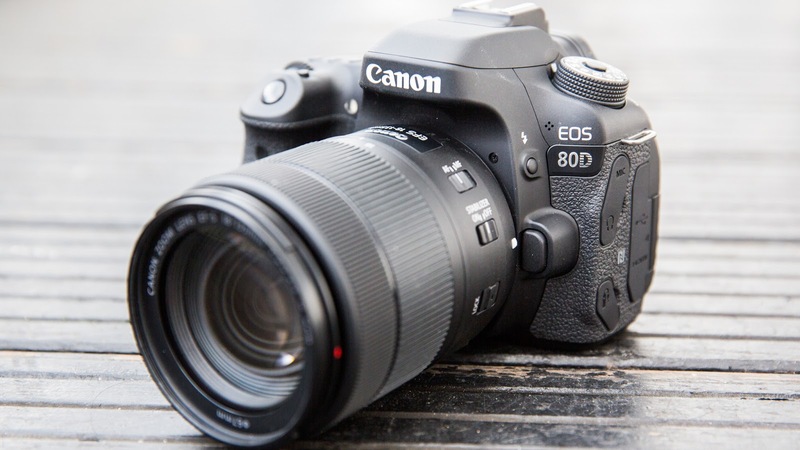 For quite a long, the Achilles heel for the Canon in its mid-range system was the lagging 19 point autofocus system found in 80D's predecessor, the 70D and used until the 760D. 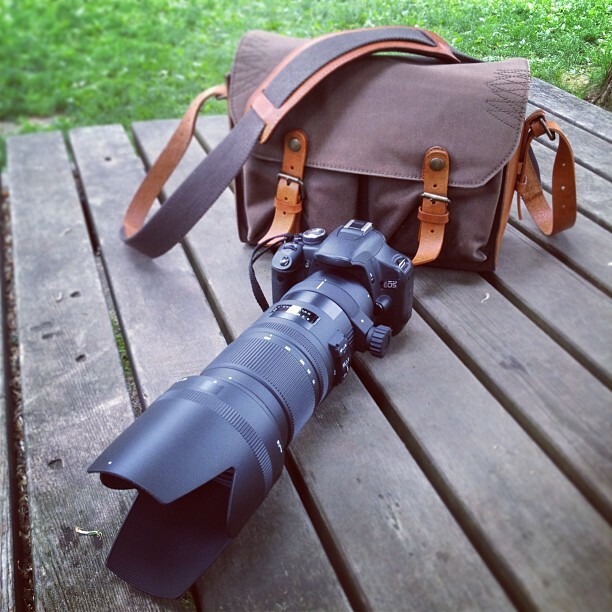 This somewhat did hold back the Canon mid-range system in action photography and especially during subject tracking. Nikon was way ahead with 51 point autofocus which it had been using since quite some time now. Canon did overcome this with its all-new 45 point all cross type AF system and can now rub its shoulders with Nikon with some credible tracking capabilities. The other place where it traditionally has been lagging is the sensor performance which directly dictates image quality and parameter like high ISO noise and dynamic range. With its new 24 megapixel sensor along with on sensor ADC (analog to digital) circuit greatly benefits noise control and although it doesn't outperform the D7500's in image quality, it come in close proximity. Talking about live view and video, the 80D seems to be a much more practical solution thanks to its Dual Pixel autofocus which seamlessly tracks subjects and gives good performance even during subject tracking. Same performance is reflected in movies with excellent tracking and smooth focus pulling. Although Nikon provides 4K which the 80D lacks, its autofocus performance in live view is nowhere close to canon. Canon also beats Nikon when it comes to beginner features and overall usability with better implemented novice friendly automatic modes and an intuitive touch interface. But the D7500 shines brighter than the 80D in a few departments. To start with, the viewfinder autofocus is more reliable when it comes to subject tracking. It also provides double RAW buffer and captures a frame more in a second for continuous shooting. It has way more dedicated buttons than the 80D which again helps in fast action viewfinder photography as it means accessing your menu (or quick settings page) less frequently. It also has better high ISO noise performance and dynamic range and hence is better suited for situations demanding greater dynamic range like landscape or architecture photography or in general outdoor photography where lighting cannot be controlled. To sum up, the 80D is a very well rounded photographic tool for a variety of audiences with good performance and capabilities in domains like sports, landscaped, auto modes, video and user interface. With that said, while the D7500 does leave something to be desired in video and live view, it does outperforms the 80D in terms of viewfinder photography used for outdoor shooting like sports, birds, wildlife in more ways than one and the refined 20 megapixel sensor will allow you to get that much extra flexibility in landscape photography and while editing in post-processing. Links to other articles in the series are given below.